Pistorius guilty: Culpable homicide, firearms verdict announced. 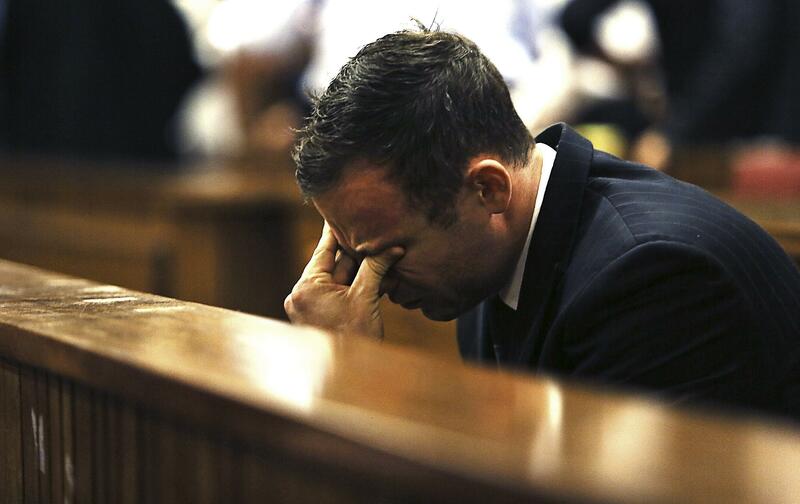 Pistorius reacts during the reading of the verdict. The double amputee had denied murdering Ms Steenkamp after a row on Valentine’s Day last year, saying he shot her by mistake. With this the judge agreed, saying “it cannot be said that the accused did not entertain a genuine belief that there was an intruder”. But she said: “The accused knew there was a person behind the toilet door, he chose to use a firearm. Pistorius could face 15 years in prison or could be let off with a suspended sentence or a fine; prosecutors have said they will wait until the judge imposes punishment before deciding whether to appeal.